LBM acquired International Arts Manager magazine and website from Impromptu Publishing in October 2015. IAM is the only global magazine for performing arts professionals. 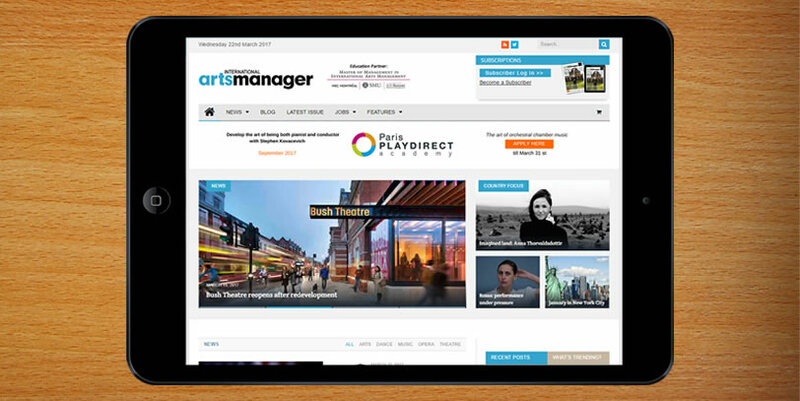 Produced monthly, International Arts Manager is the most inclusive magazine for the performing arts industry and can be accessed by subscribers online. With a truly international focus, it brings you all the latest news, exclusive interviews, investigative features and opinions from cultural leaders around the world in the fields of opera, dance, classical music and theatre.